With 60 years of commitment and still going strong, Charles Leonard, Inc. is a second generation family business. We take pride in our relationship with quality and value, which goes back to day one. The Charles Leonard Extra Heavy Duty Stapler features durable steel construction with non-skid rubber feet. This 230 sheet capacity stapler has a locking paper guide, adjustable throat depth up to 2 inches and clears jams easily. With a rubber-padded handle for added comfort, this stapler uses 3/8, 1/2, 5/8, 3/4 and 15/16 inch heavy duty staples. 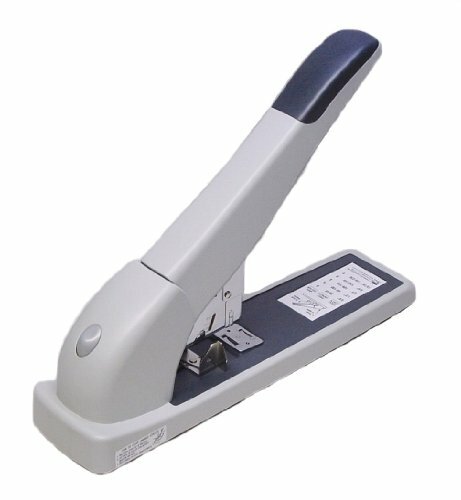 The push button front loading system makes this an ideal stapler for home, school or office use. 5 Year Warranty.